Join in the celebration of WMSE’s Zero Hour’s 10 year Anniversary and WMSE’s 38 years on the airwaves with this special show. Featuring performances by Bleed, Holly & The Nice Lions, and Stink Lines! 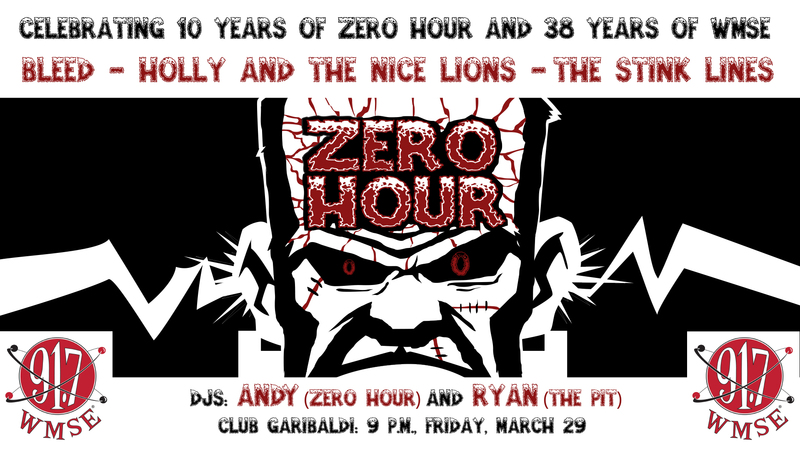 Zero Hour DJ Andy will DJ along with the Pits Ryan King. See ya Friday night at 9PM!